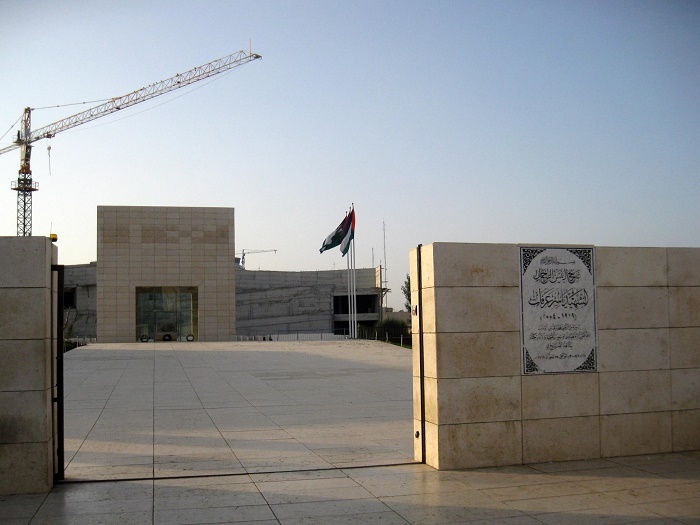 Yasser Arafat Mausoleum is the “temporary” resting place for the late pronounced Palestinian leader, Mohammed Yasser Abdel Rahman Abdel Raouf Arafat al-Qudwa, popularly known as Yasser Arafat, located in Ramallah. 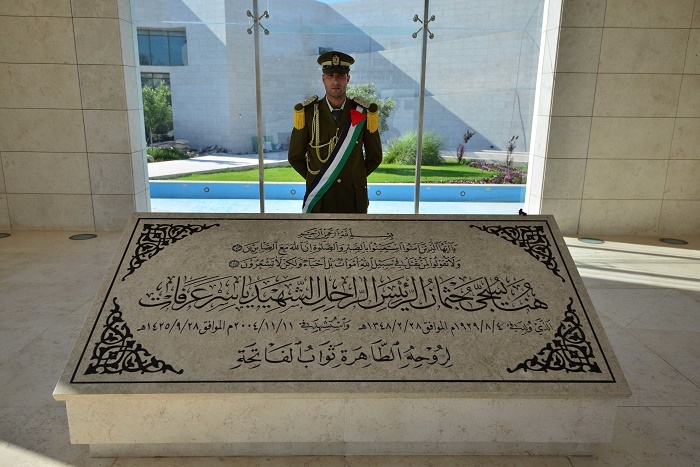 Chairman of the Palestine Liberation Organization (PLO), President of the Palestinian National Authority (PNA), and leader of the Fatah political party and former paramilitary group, which he founded in 1959, he fought for the State of Palestine to be recognized as a sovereign country by the world. He’s a hero to many in these parts and his face adorns many a wall, mural, poster, key ring and bar of soap in Palestine and other parts of the Islamic World where a strong Palestinian presence or support exists. He basically led Palestine for over 20 years until his death in 2004. Opposed to Israeli existence for a large period but ultimately wanting a Palestinian state, having critics accusing him of alleged corruption scandals, still his legacy lives on. 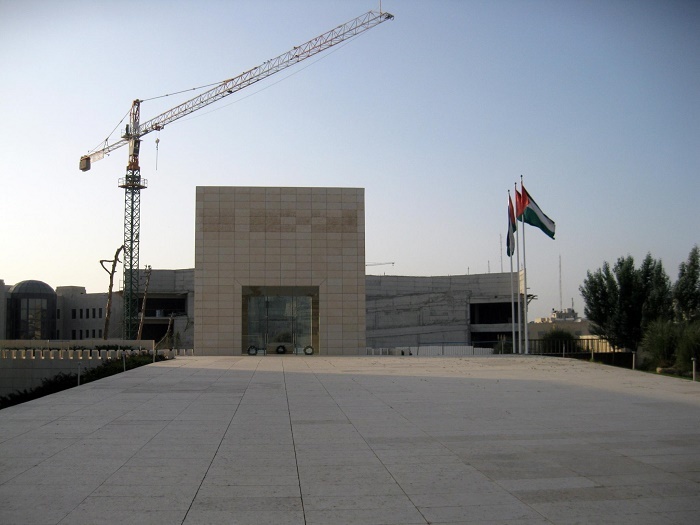 The complex where he is buried at the moment consists of a burial chamber, a prayer pavilion, and landscaped gardens, all situated in a 6,550 sq.metres (70,504 sq. miles) site. 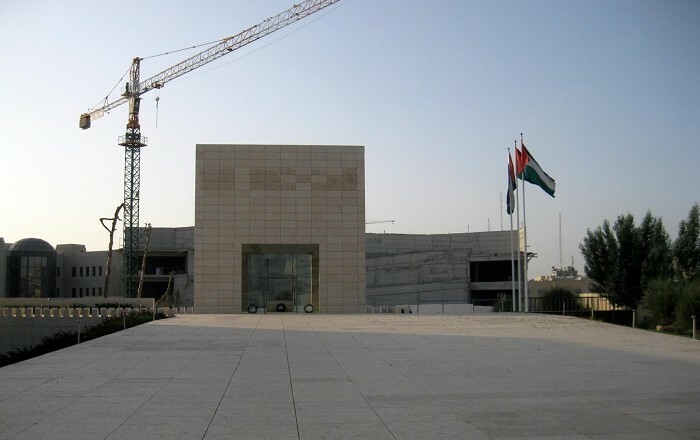 The architect of this mausoleum is Jafar Tukan, which he designed it in 2005, but the mausoleum was completed in 2007. The design of the burial chamber emphasizes openness and takes on a cubic form that is filled with light and placed on a low pedestal in a reflecting pool. A path that begins in front of the burial chamber divides the site into two more or less equal parts and provides access to the prayer pavilion. The rectangular prayer pavilion is treated as a simple meditative space. 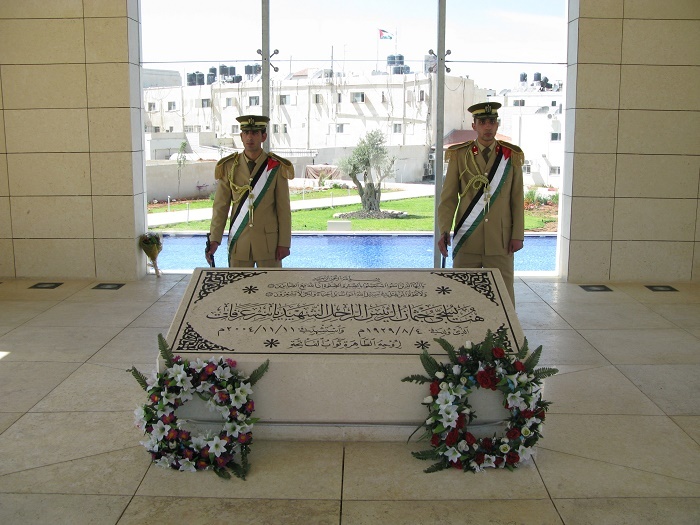 Even though, the wish for every Palestinian was for Yasser Arafat to be buried in Jerusalem (East Jerusalem), the Israeli government refused this, so the option for Ramallah was of course as a temporary. 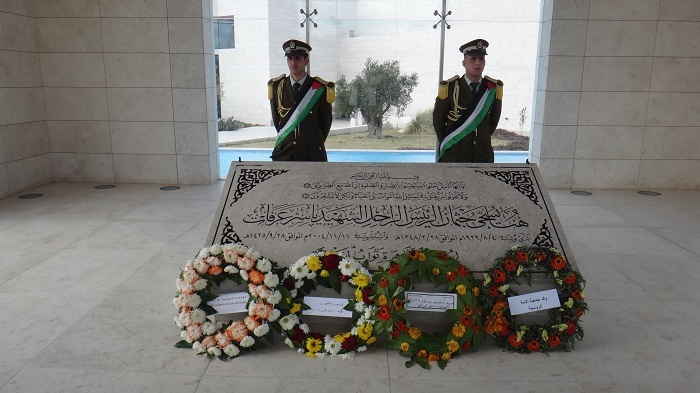 It is manned by armed guards all the time, photographing the inside of the mausoleum is permitted, however, entrance to Israeli citizens is strictly forbidden. 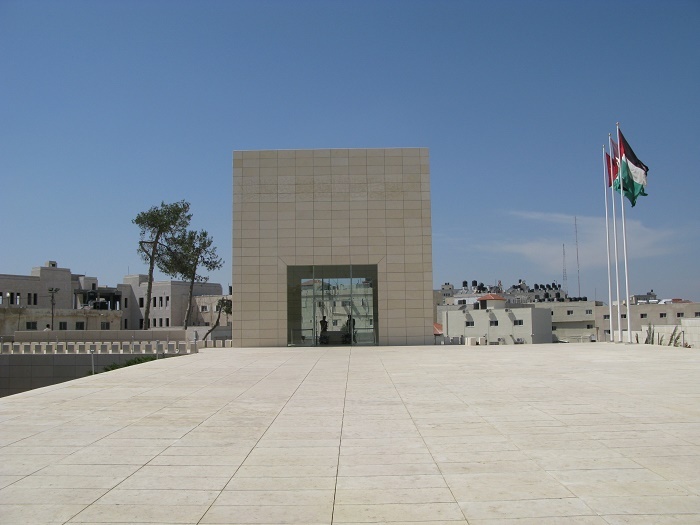 The tomb sits on a walkway which is opposite a square of flags. These flags are all the countries that recognize Palestine as a country.